Company Overview - Guangzhou Pengkai Environment Technology Corp.
5YRSGuangzhou Pengkai Environment Technology Corp.
Guangzhou Pengkai Environment Technology Corp. is a comprehensive equipment manufacturing group company (stock code: 838926), and its headquarters is located in Guangzhou Panyu Tian'an Energy-saving Science and Technology Park. Zhaoqing Pengkai Environmental Protection Equipment Co. LTD. and Guangzhou Pengkai Stain Steel Container Co. LTD. are wholly-owned subsidiaries of Guangzhou Pengkai Environment Technology Corp.Basing on the spirit of "first quality, reputation as the main, oriented management, sincere service", Pengkai takes up the market with high quality products while adhering to criterions contain the user's needs, actual application and using experience. 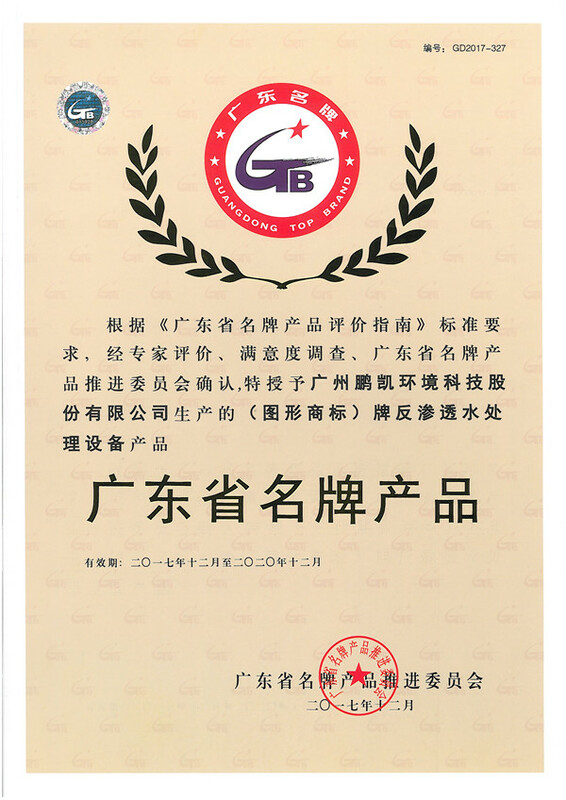 Our company has contracted with the Blue Moon, GDH Water , Everbright Water, CNOOC, British BP, Wang Laoji, Central Asia Aluminum, Guangzhou Metro, Zhongyuan Middle School and other hundreds of water treatment projects. 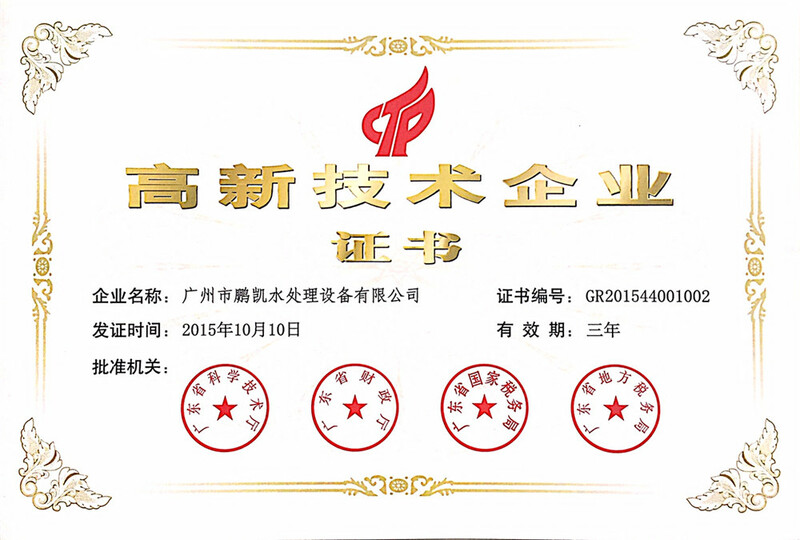 Our products are sold and praised by users all over the China and other users from different 40 countries. 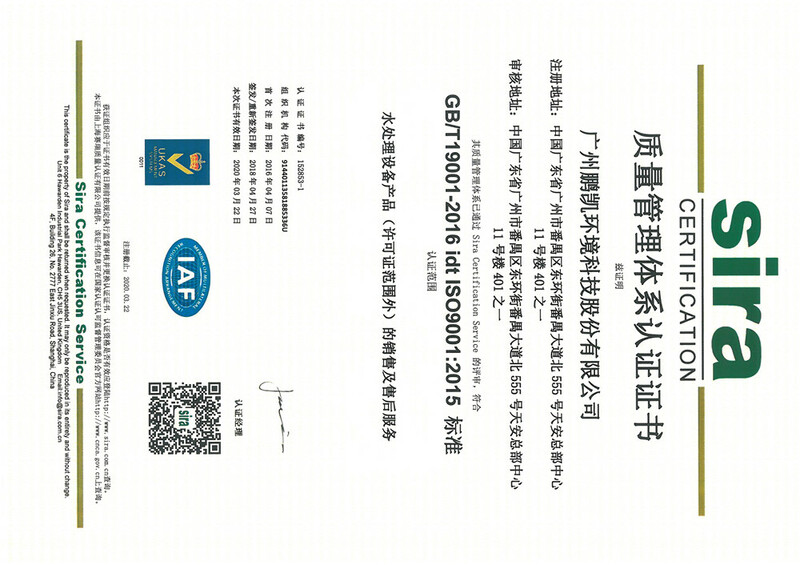 In the mean time, our company have cultivated a mature, stable, and rigorous group, accumulating rich experience in wastewater treatment engineering.Our developing production of water treatment equipment and environmental protection new materials are invented based on high-tech theories, in hence, are of international advanced level. These researches, developments and products not only has significant economic benefits , but also have a huge social benefit, whom is more important. Those products meet the needs of people's health and along with the policy that protecting environment with high-tech ways. Since our country is making a point of environment protection, Pengkai will adhere to the policies and develop Pengkai in a fast but stable speed. 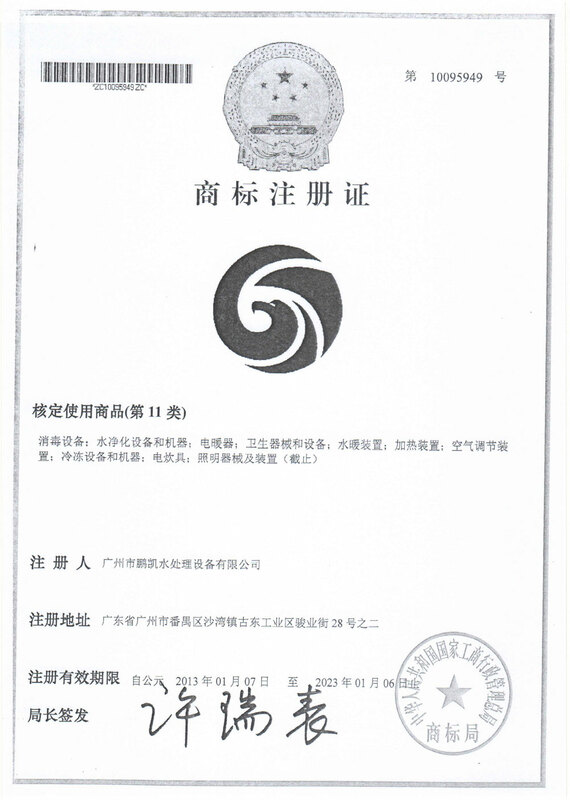 According to the requirements of the "Guangdong Province Famous Brand Product Evaluation Guideline", after the expert evaluation, satisfaction survey, and Guangdong Famous Brand Product Promotion Committee confirmed, it was awarded the (graphic trademark) brand reverse osmosis water treatment equipment product produced by Guangzhou Pengkai Environmental Technology Co., Ltd. "Guangdong famous brand products."